Five Things Malaysian Students Studying in Ireland will Miss about Home! For Malaysian students studying abroad in Ireland, you would most probably notice that there are huge differences between Ireland and Malaysia. Well, some of if are good like the traffic is better in Ireland and it is cleaner and less polluted than Malaysia but there are also things where you just wished it was in Dublin. Though you may be having an amazing experience studying abroad but there is no denial that it would be way better if they had these things there too. In just the first three months of being away from home, you realize just how much you miss home and you wish thing are the same here! Malaysia is one of the countries with the most holidays in the world. We get holidays for literally everything. From the Sultan’s birthday to Lee Chong Wei winning a medal in the Olympics, holidays for everything! So, it is obvious that we Malaysians love holidays. However, things are not the same in the rest of the world. I study in Ireland and in the past three months, we only had bank holiday once, ONLY ONCE (I know!!!). Everybody knows Malaysia is a paradise of fruits. Did you know, Malaysia has the largest fruit producing forest (Borneo jungle) in the world? Yup, we do and most of the fruits in Malaysia are available all year long so you can get it anytime. 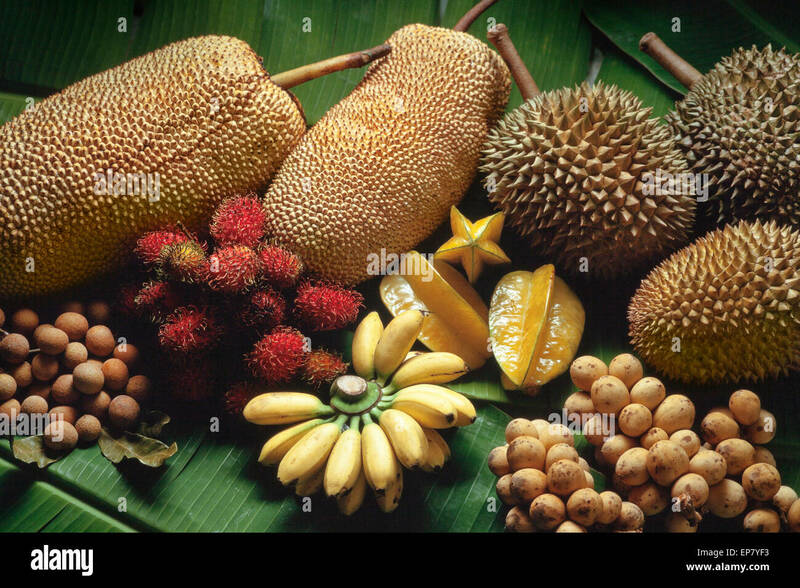 Well, they do have fruits in other parts of the world but it is nothing compared to the juicy and colorful tropical fruits we have back home. In Europe, mostly what you can find are berries like blueberry, raspberry, gooseberry, nannyberry and all sort of berries which all tastes the same too. Malaysia is a paradise for shopaholics. There are more than 66 malls in Kuala Lumpur alone. Malaysians treat malls as if , it is their second home. Also, malls back in Malaysia opens till late night and some malls are even opened for 24/7 which is not the same with the rest of the world. For example, malls in Australia shuts down as early as 5pm which is the time some people in Malaysia go out to malls. Also, we have lots of restaurants and cinemas which run for 24/7 so you are never bored or hungry. To all the Malaysian students who thinks Malaysia teachers and exams are strict and tough please don’t even consider about studying abroad. The exams and system abroad are way tougher than what we have back home. In Malaysia, students are extremely pampered by their tutors and lecturers where they are so kind that they will even give extensions just before your print ran out of ink ( yes, they do ) and this makes the students lazy and inattentive. Students get exams tips and guidelines all the time and even if you did really bad the lecturers will always find a way to help you pass. However, outside Malaysia, especially in Europe the lecturers are really strict. They don’t even mention what topics are going to come out in the exam so stuff like “*markah kesian” doesn’t exist in the ‘real world’ . Out here, you are all on your own buddy. 5) Public Transports Most Malaysians back home are complaining about the tickets prices, and overcrowding of public transports but I just got to say one thing. It is better to have expensive bullet trains than nothing at all. In Malaysia, the public transports are so good that people often take it for granted. We have bullet trains that connect the whole country, underground metro links with stations in every street, we have 62 international and domestic airports , we even have free public buses and bicycles! Trust me, you will never realize how convenient the public transports back in Malaysia are until you are out of Malaysia.So, these are the thing most probably every Malaysian student studying abroad will miss about home! For those, students who are planning to study aboard bare in mind of all these things and please appreciate them while you still can. Where to find cheap cruelty-free cosmetics in Dublin?